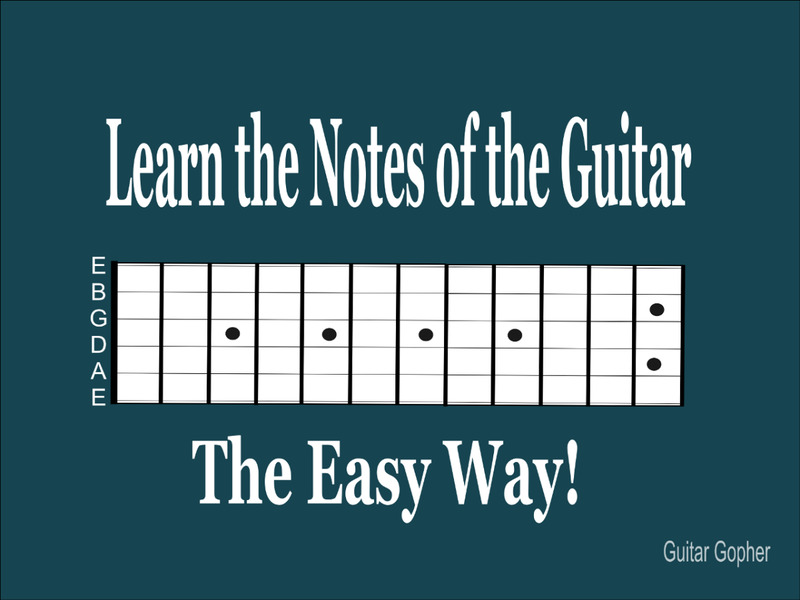 Why Learn the Notes on Guitar? Knowing the notes on the guitar fretboard opens the door to a greater understanding of the instrument. 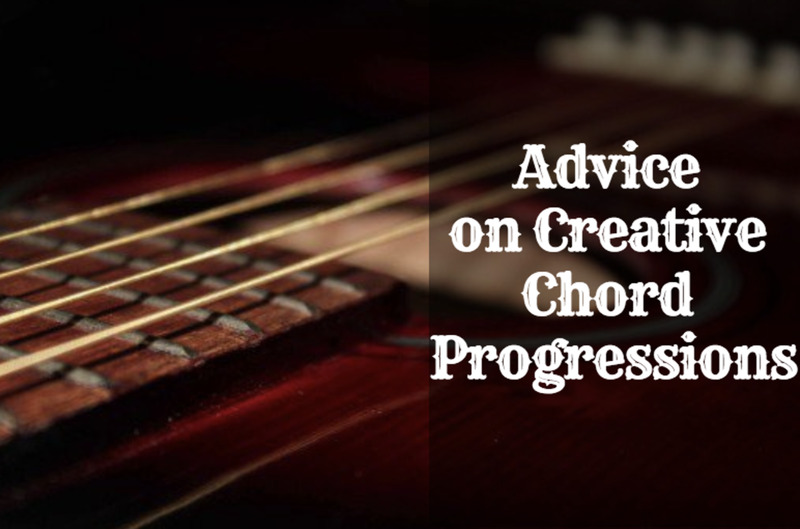 It leads to better communication with other musicians, and it makes learning scales and chords much easier. You can’t possibly master the guitar if you don’t even know what notes you are playing. Learning the notes isn’t the same as learning to read music. That’s a totally different skill, one you may or may not wish to study in the future. The ability to read music is useful for some guitar players such as classical musicians, but most of us can get along fine with only a basic understanding of how musical notation works. You may hear it said that many famous rock guitar players can’t read music in a traditional sense. Even if that's true, remember that musical illiteracy does not equate to musical stupidity. They still know what they’re doing, and they know where to find the notes they need. Figuring out where all of the notes are located and committing them to memory might seem like an impossible task. After all, if your guitar has six strings and twenty-four frets that’s 144 notes you have to memorize! But, as you’ll see in this beginner's lesson, there are a few shortcuts you can take to make this much easier. 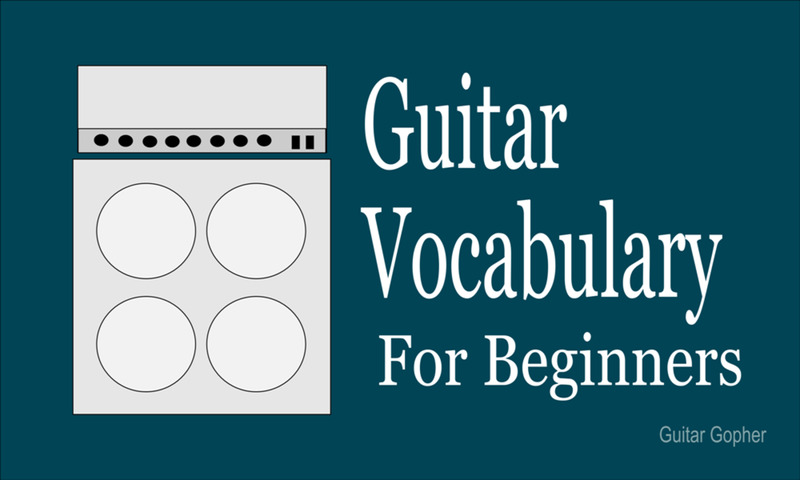 In fact, if you know the letters of the alphabet you already know the names of the notes of the guitar fretboard. You don’t even need to know the whole alphabet - only the first seven letters. Told you it was easy! Let’s get to it. Technically, from a music-theory perspective we should be starting on the letter C, but let's not over-complicate things more than we have to. Any two natural notes will have a sharp/flat between them, except for B and C, and E and F.
This is super easy to illustrate using a piano keyboard. On a piano, everything is in a straight line. The whole keyboard is one big, repeating chromatic scale. 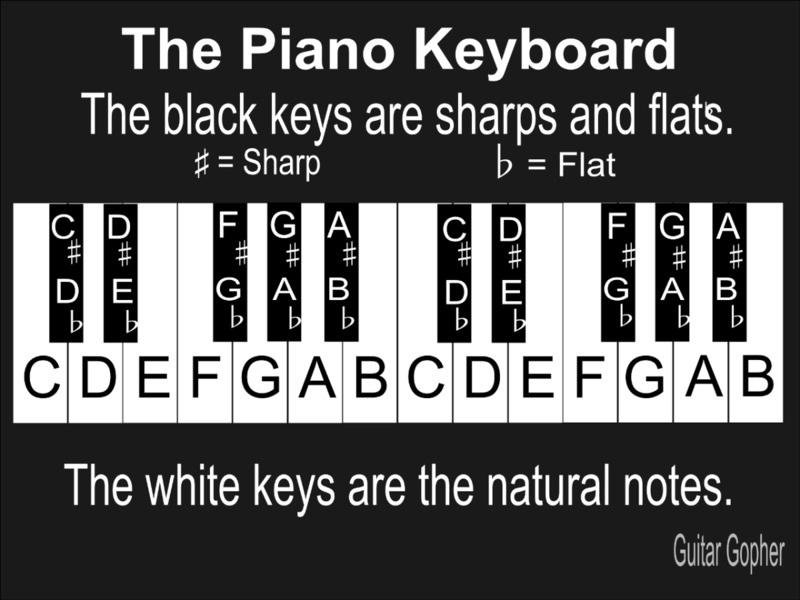 The white keys are the seven natural notes, and the black keys are the sharps and flats between them. Before we go any further it is time to clear up one important point. See how the black keys have both a sharp name and a flat name? That’s because they are the same notes. In other words, C-sharp (between the natural notes C and D) is the exact same note as D-flat (also between the notes C and D). Either is correct. When two notes have different names but the same sound we refer to them as enharmonic. Whether you call a note by its sharp name or flat name depends on the musical context. Since we have no musical context here, I will most often refer to them as sharps. As a beginner, you might find it easiest to think of them in one way for now. As you progress in your playing you will see how the subtle difference in the naming of sharps and flats is important, but that is a lesson for another time. I think a piano keyboard is a very useful tool for illustrating music theory no matter what instrument you play. Everything is neatly lined up in a row and you can easily see how the notes fit together. 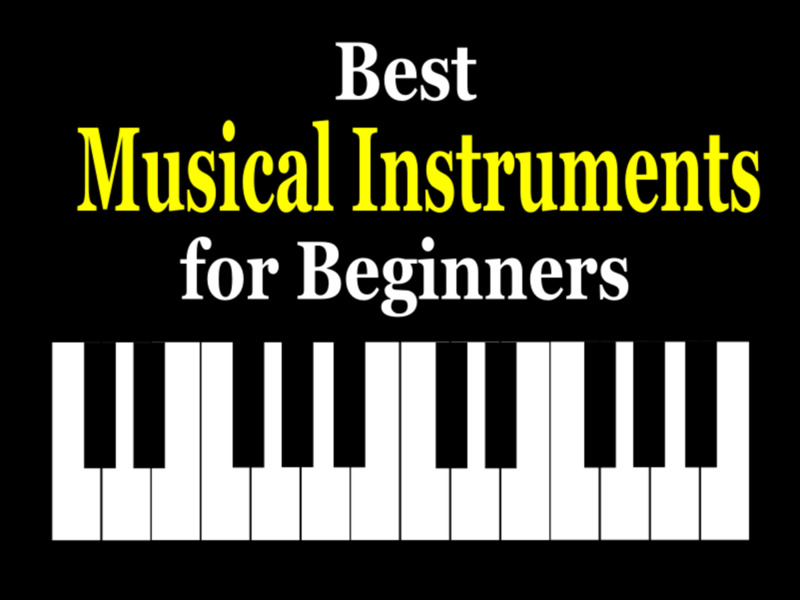 But, now that you have a basic understanding of the notes of the chromatic scale, you are going to need to apply what you’ve learned to the guitar. The problem with the guitar is that everything isn’t neat and tidy and in a row. Unlike piano, you are working across multiple dimensions (six strings). In effect, it’s like having six pianos lined up next to each other. Looking at the guitar as a whole can be pretty confusing, but the trick is to look at one string at a time. Because any one string, taken individually, is lined up in a row all neat and tidy. Just as the piano keyboard is one big, repeating chromatic scale, each guitar string on its own is one big, repeating chromatic scale. We’ll start at the sixth (thickest) string. 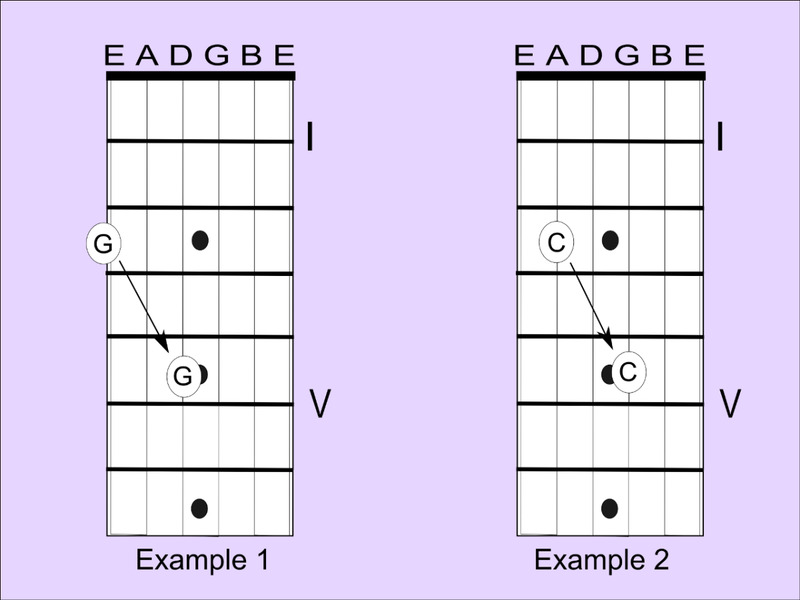 Since the open note is E, the note at the first fret would be the next note in the chromatic scale, which is F (remember, there is no sharp between E and F). 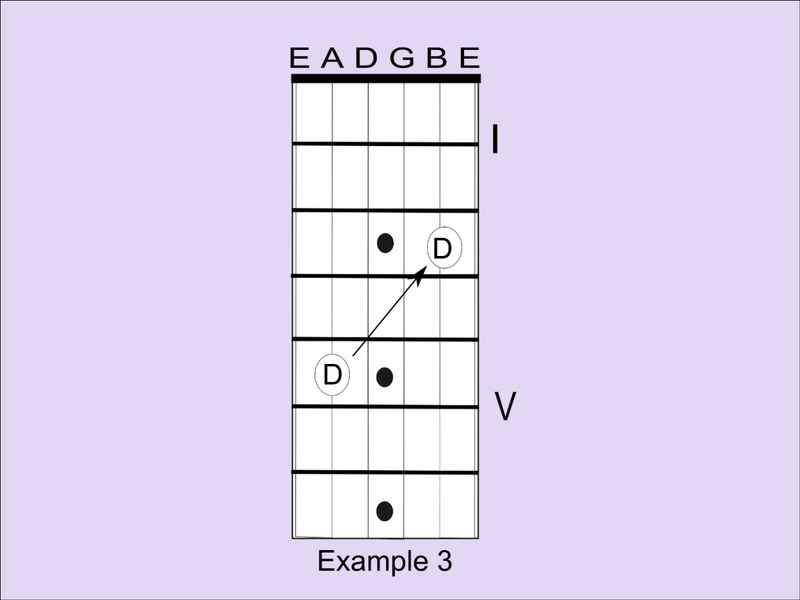 The second fret note is F#, third fret G, fourth fret G#. When we get to G#, just like on the piano keyboard we simply start over at the beginning of the alphabet. The fifth fret is A, sixth A#, and so on. See. Super easy! If you know the alphabet, and you know which natural notes have sharps between them, you know the notes of the guitar. Well, you now know the notes on the sixth string, anyway. Next, you’re going to go through the exact same process with the fifth string. The open fifth string is an A, so that makes the note at the first fret, fifth string an A#, the second fret is a B, and so on. Like with the sixth string, if you know the alphabet up to the letter G and understand where to put the sharps you know the notes of the fretboard. If you feel like doing this the hard way you can repeat the process for the remaining four strings, memorizing each. But, there is a much simpler method involving those shortcuts I promised you. As you now know, there are twelve notes in the chromatic scale. When you get to the end, you start over. The next note you start over with is the same as the note you started on. In other words, you start with A, go to G#, and then start back on A again. The relationship between those two A notes is called an octave. They are the same note but at a different pitch. This is easily illustrated by plucking a couple of strings on your guitar. The lowest open string is an E, and the highest open string is also an E. They are the same note (E), but they don’t sound exactly the same. As you can hear, the high E is at a different pitch. They are two octaves apart. So, this brings us to our first shortcut. If you know the notes of the sixth string, you also know the notes of the first string. They are the same note names, but two octaves apart. When you learned the notes of the sixth string, you probably noticed they started to repeat themselves once you got to the 12th fret. 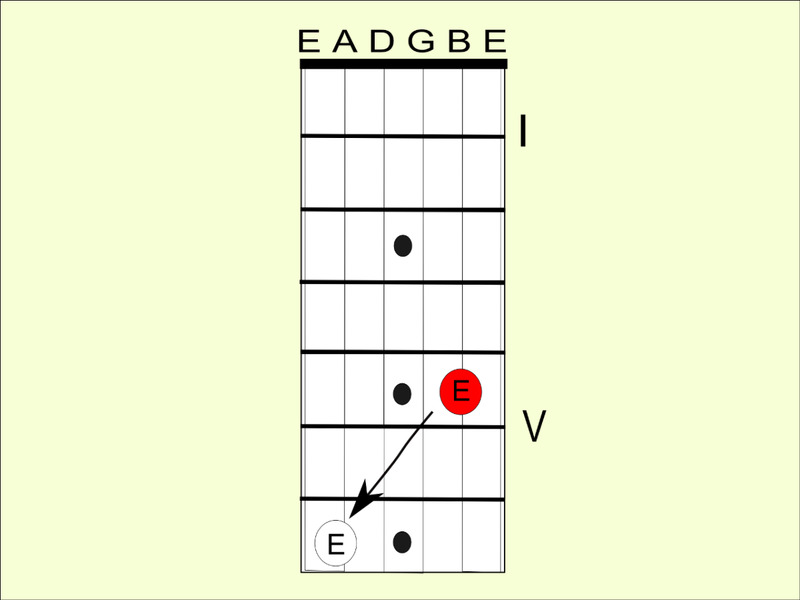 The open string is an E, but the 12th fret is an E as well. With that in mind, here is our next shortcut. The notes on the guitar fretboard repeat themselves after the 12th fret, but one octave apart. That's why I told you not to bother memorizing the 6th and 5th strings past the 12th fret. 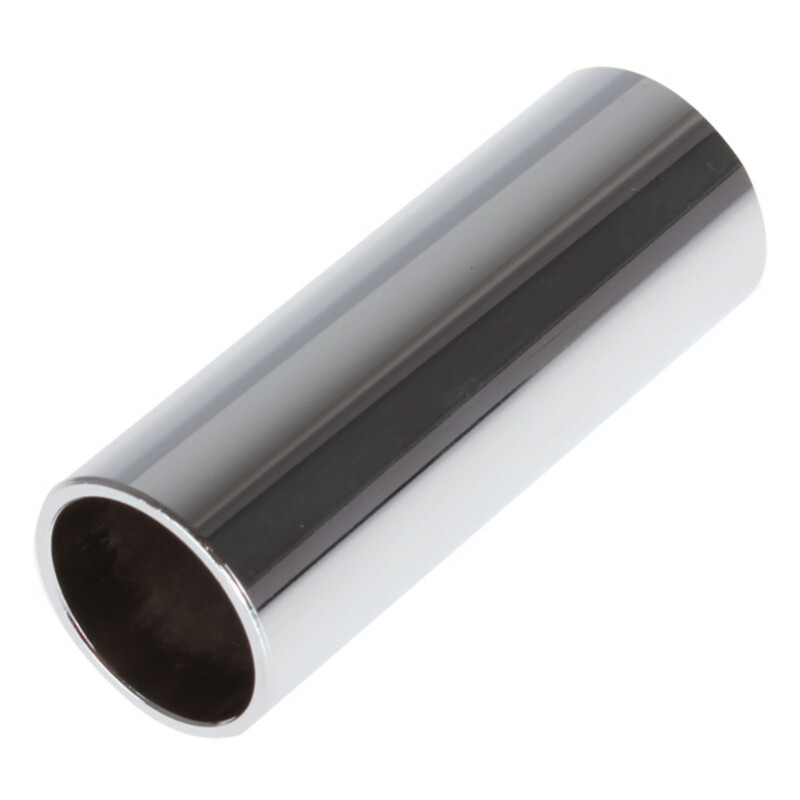 You can think of the 12th fret as the same as the open strings, and the 13th fret as the same as the first fret. The notes from the 12th to 24th frets are exactly the same as the notes from the open to 12th frets, but one octave apart. If you notice, the fretboard markers are even spaced the same way on most guitars. It is important to differentiate octaves and unisons. Where an octave is the same note at a different pitch, a unison is the exact same note at the exact same pitch. For example, the E you hear when you play the 6th string at the 12th fret is the same as the E you hear when you play the 4th string at the 2nd fret. They are not an octave; they are at the same pitch, making them unisons in relation to each other. Knowing how to find octaves immediately unlocks all the notes of the guitar. This isn’t something you need to spend months mastering. It’s a shortcut that means you’ll know how to find every note on the guitar by the time you are done reading this article. 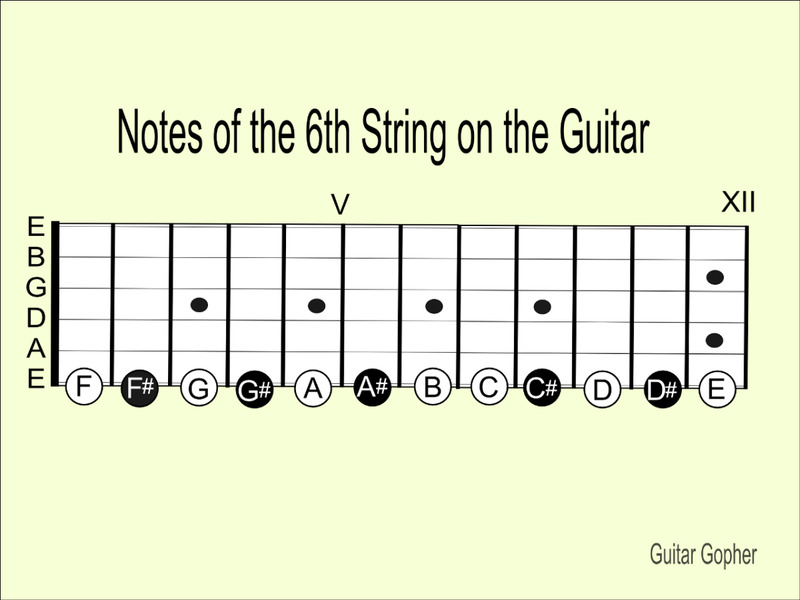 Thanks to learning a couple of things about octaves, you now know all the notes of the sixth, fifth and first strings up and down the entire fretboard. That’s half of your 144 notes out of the way. Next we’ll talk about how octaves can tell us where to find the rest of notes as well. 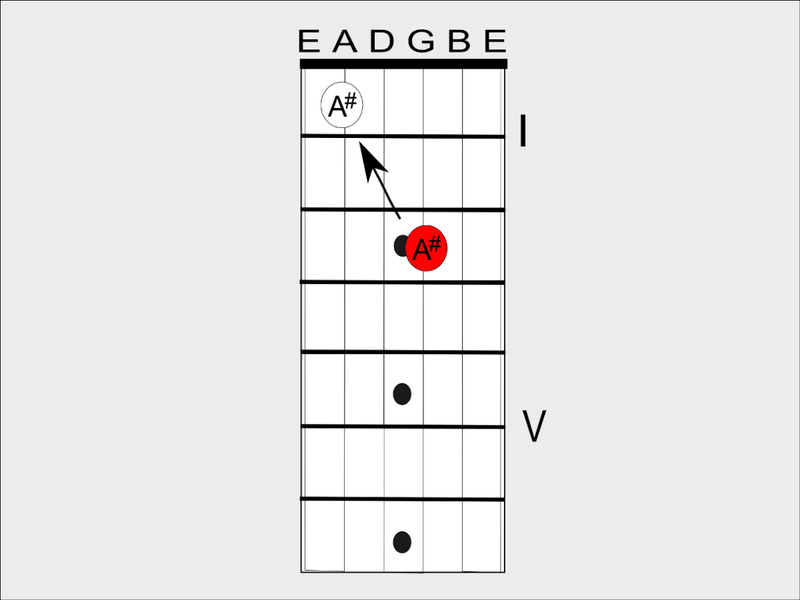 To find the rest of the notes of the fretboard you’re going to get familiar with two easy octave shapes. The point is to use these shapes to relate the note you are trying to name back to its octave on the sixth or fifth string, where you already know all the notes. For the purposes of this lesson we are only interested in naming the notes. It only matters that you find your way to the sixth or fifth string. Using the shape above you can find the octave you want by moving up two frets and across two strings. You can go backwards as well, moving down two frets and back across two strings. You can see this illustrated in Example 1 where we have found two G notes, and Example 2 where we have found two C notes. You can move the shape up and down the fretboard and, as you can see, the same shape that works to compare the 3rd and 5th strings also works for the 4th and 6th. This is perfect for finding notes on the third and fourth strings, since you know the notes of the 5th and 6th strings and can now use this octave shape to compare them. But we still have the 2nd string to deal with. To find the notes on that string, we need to know one more octave shape. Using the octave shape in Example 3, you can compare the notes on the 2nd string with those on the 5th string. 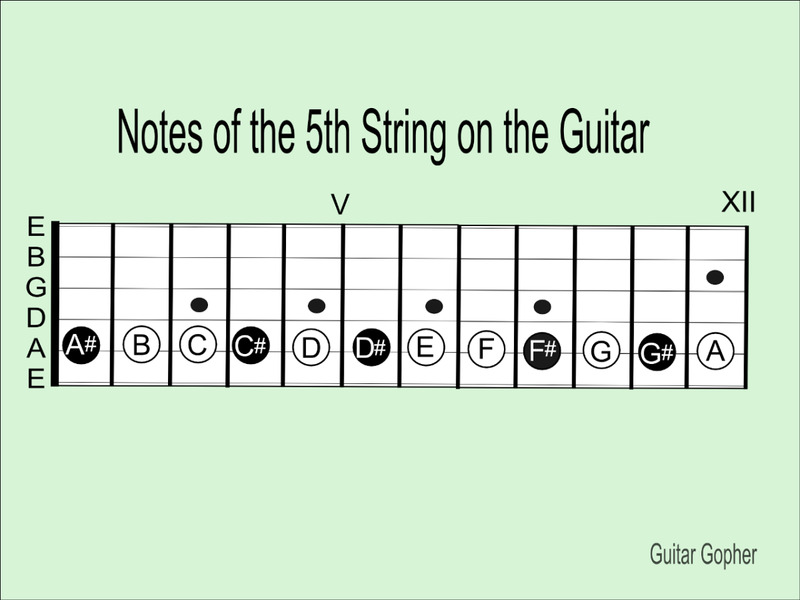 Since you know the notes on the 5th string, you can find the notes on the second string as well. In this case we are finding a D on the 2nd string by comparing its octave on the 5th string. Remember, in many cases you'll be working backwards, using these shapes to track back from a note you don't know to one you do. Let’s see a couple of practical examples of these shortcuts in action. Let’s say I want to find the note at the third string, third fret. Well, I didn’t memorize the third string, so I am going to use the first octave shape above to take me back to the fifth string, which I do know. Using that shape, I can see that I’m looking at an A#. If you don't know a note on the third string you can use an octave shape to take you back to the fifth string. What if I want to know the note on the 2nd string, 5th fret? Well, the first octave shape won't help me, so I’m going to use the second octave shape to take me back to the fifth string, seventh fret, where I know the note is an E.
The second octave shape helps you find notes on the second string. If you've read my lesson on how to tune your guitar by ear you also know that you can tune the high E string to the 5th fret of the 2nd string, which makes it an E.
The two shapes above are only a few of the shapes and techniques you can use to find octaves and unisons around the fretboard. 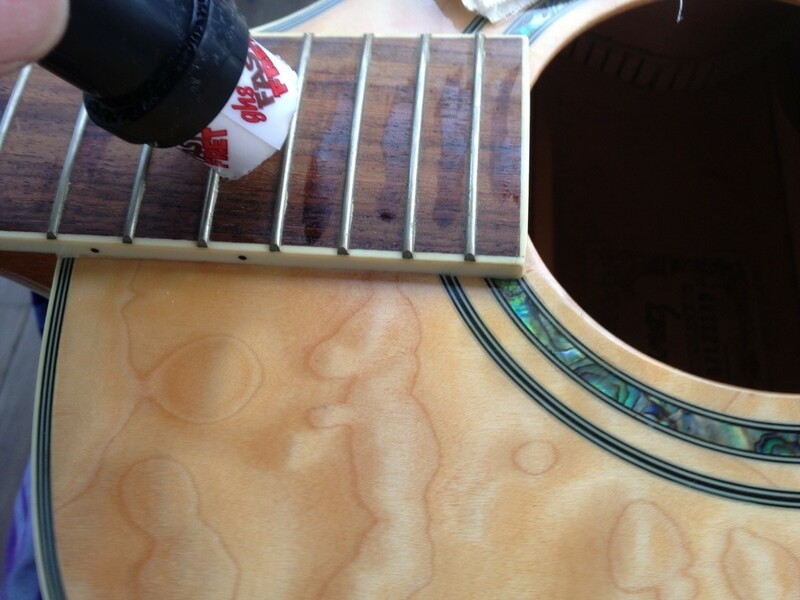 As you experiment, you will begin to see how the fretboard fits together as like a puzzle. I'll be the first to admit that this lesson is somewhat incomplete. There are so many additional bits of information that will help you find your way around the guitar fretboard. However, I did not want to overwhelm you. Instead, I tried to present an easy way to learn the names of the notes which will set you up for some of those harder lesssons down the road. Using this method you should be able to easily name any note of the guitar fretboard. It is something I learned a long time ago, and it really helped open up the fretboard once I understood how it fit together. However, remember that, like most shortcuts, this method is intended as a means to an end. It’s like when you go somewhere you’ve never been before. The first time you may need a map. You memorize landmarks so you can find your way back. After a few trips you don’t need those landmarks and or that map anymore. Consider this method the same way. Use it to start learning where you are going, with the intent that you won’t have to rely on it eventually. Then, you can get into using octave shapes for more interesting things. Hope you found this lesson helpful. If you have any questions let me know below! Thanks Denny! Unfortunately there is no way to download articles from the site. Glad you found it useful though! How can I download this super lesson? This info is what I have been waiting for to infuse my playing ability! You guys rock!!!! Glad you found it helpful, nogini! OMG! Wonderful article. It just open up the door to my guitar fretboard. Thank you!